Trailers, 7-1 Tyres and wheels. Land Transport Rule: Tyres and Wheels 2001 has been amended to include new tyre tread depth requirements. These requirements became law on 1 November 2007. They take into account new tyre tread designs and allow for more consistent checking of tread depth during vehicle inspections. 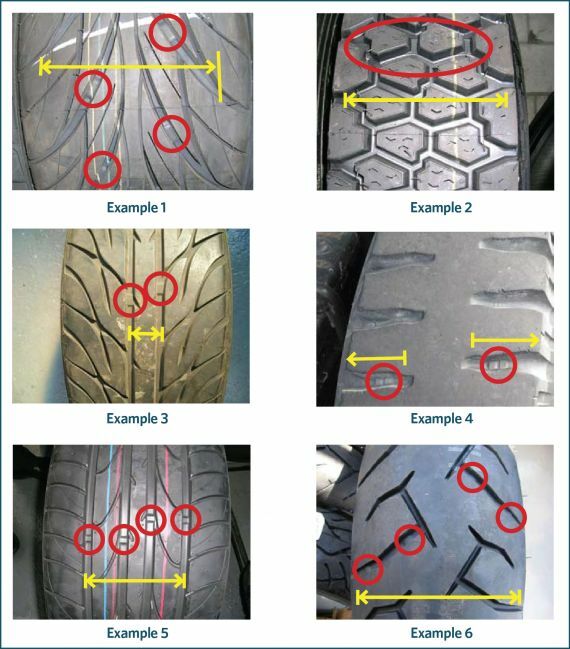 Below is some guidance to help vehicle inspectors measure tyre tread depth to the new requirements for different kinds of tread patterns. What is the new requirement for tyre tread depth? The rule now states that a tyre must have a tread pattern depth of at least 1.5mm (excluding any tie-bar or tread depth indicator strip) within all principal grooves that contain moulded tread depth indicators and around the whole circumference of the tyre. Virtually all tyres have moulded tread-depth indicators. However, a small number of tyres, such as some retreaded or vintage tyres, may not have moulded tread-depth indicators. For these, the NZTA has retained the old requirement of at least 1.5mm tread depth across ¾ of the tread width and around the whole circumference of the tyre. Principal grooves are the wide grooves in the tyre tread which have the tread-depth indicators located inside them. Any other grooves are secondary grooves which may wear out during the service life of the tyre. Tread-depth indicators (also known as tread wear indicators or TWIs) are the projections within the principal grooves that let you know how far the tread has worn and are usually about 1.6-2.2mm thick. 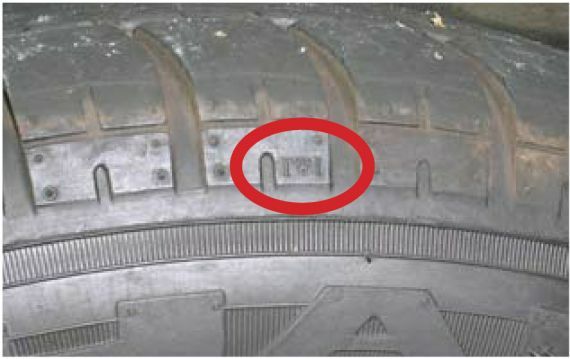 If you find it difficult to find tread-depth indicators, just look along the side wall for a small ‘ ’ or ‘TWI’ mark (see Figure 7-1-1 and Figure 7-1-2). Where do I measure the tread depth? The tread depth is measured in the principal grooves that contain the tread-depth indicators. However, there are tread patterns where the principal grooves cover different widths of tyre tread. This means that in order to pass a WoF or CoF some tyres must have 1.5mm tread depth across a greater tread width than other tyres. 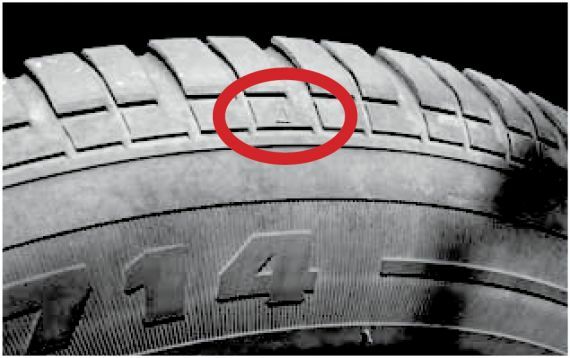 This is especially the case for tyres that have lateral grooves (those that end at the tyre edges), as shown in Example 1 of Figure 7-1-3. Vehicle inspectors may disregard the outer end of a lateral groove where it normally tapers off over the shoulder. Note that the tread is only that part of the tyre that is in contact with the ground. Figure 7-1-3 shows different tread patterns with tread-depth indicators (and therefore principal grooves) and the approximate measuring width marked. The marks and tread-depth indicators are usually in about six places around the tyre. It is important that these are not mistaken for any shallow sections that are part of the tread pattern.